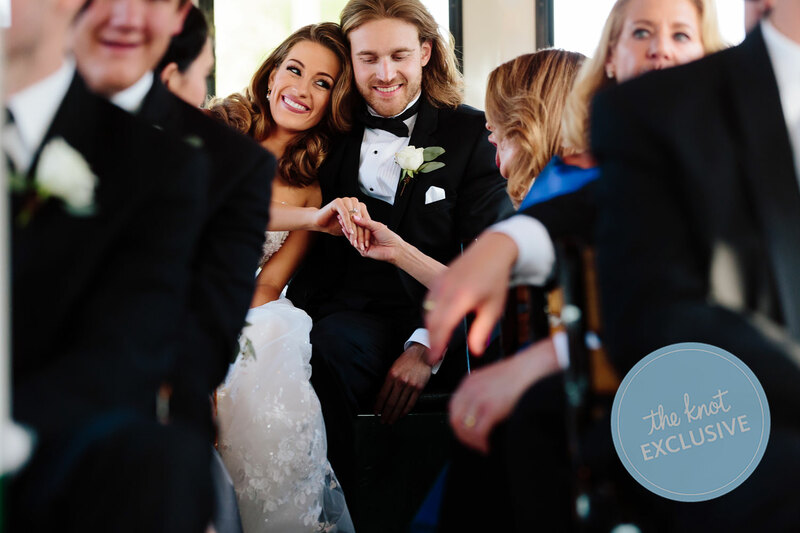 Former Miss America Betty Cantrell found some seriously unique ways to marry tradition with modernity in her wedding to Spencer Maxwell on April 13. 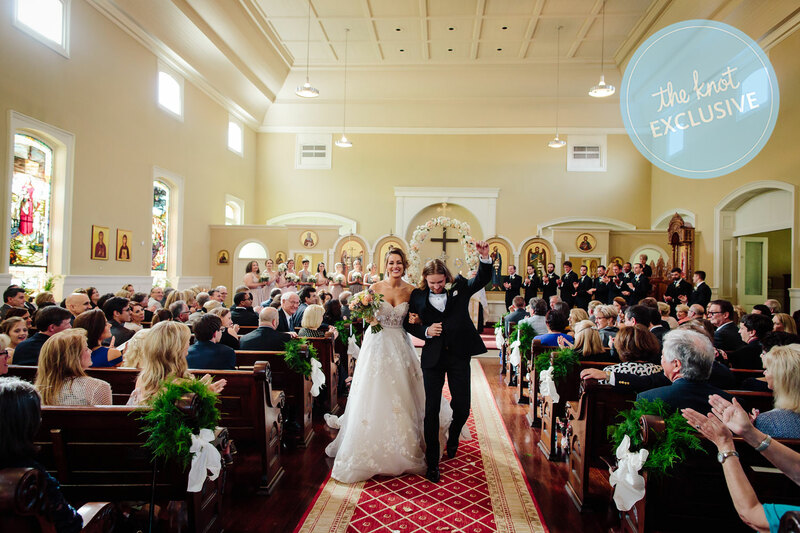 The bride, who grew up attending a Greek Orthodox Church in Macon, Georgia, wanted to honor her upbringing while also making the day feel sophisticated and modern—and she was able to achieve that delicate balance by keeping things simple. 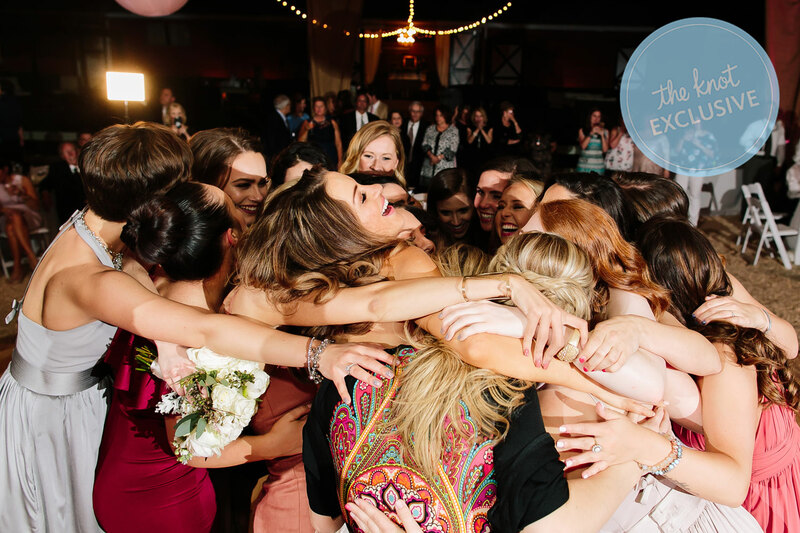 For their big day, Cantrell, 23, enlisted the help of one of her former Miss America tour managers, Liz Brown, who helped the bride remain stress-free in the months leading up to the wedding. 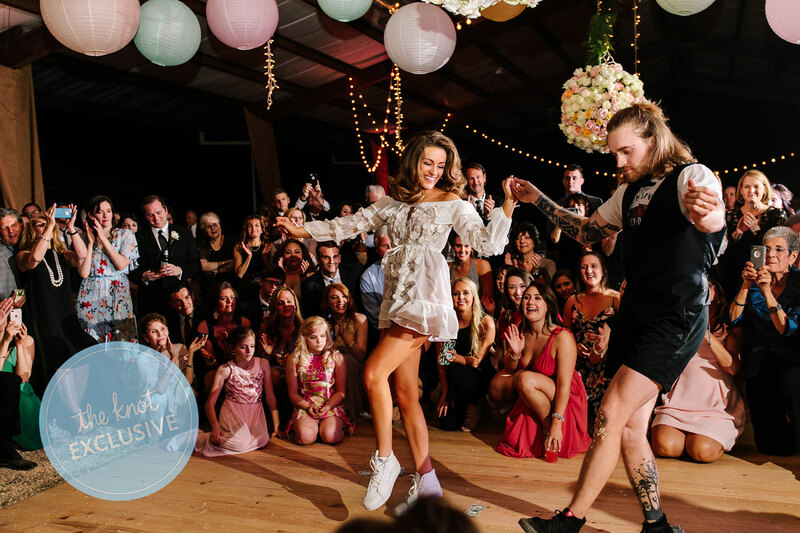 For Cantrell and Maxwell, 26, personal touches included sweet details such as having both of the bride’s parents scribbling personalized messages on the bottom of her wedding shoe. 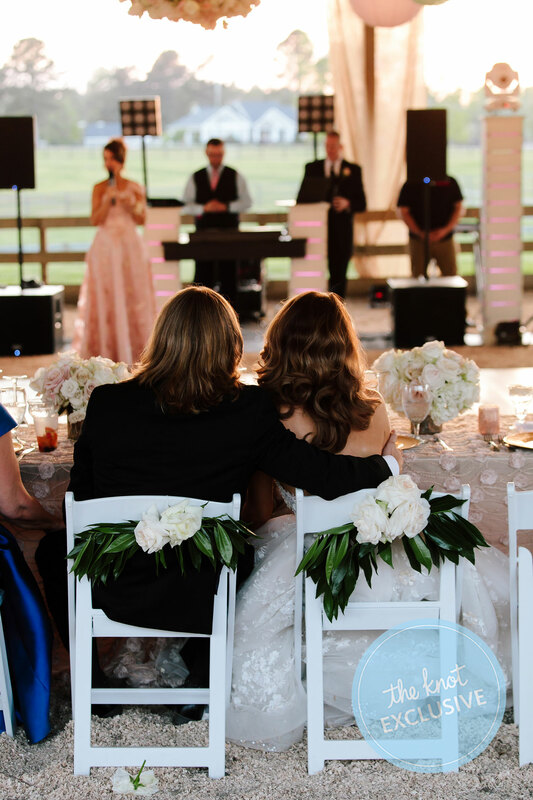 The pair also had a mouthwatering wedding cake which included a mash-up of their favorite flavors (a layered pound cake with whipped cheesecake filling). 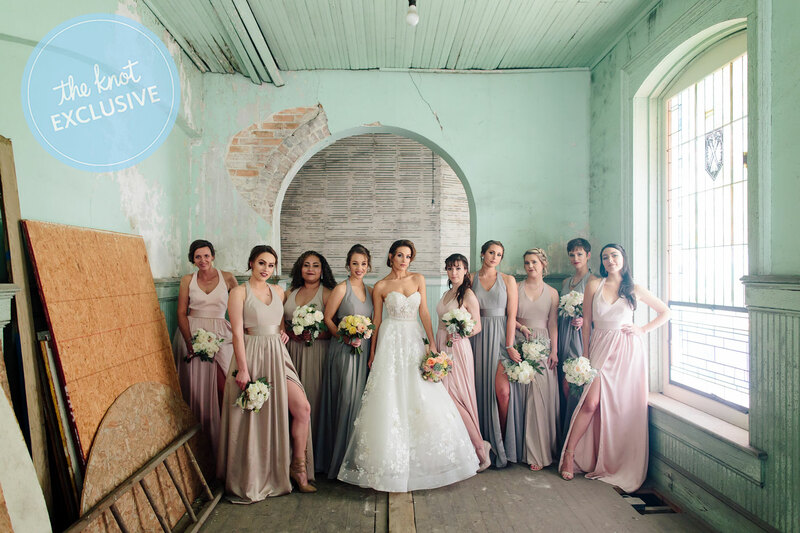 Here, Cantrell tells us more about the thoughtful planning that went into her wedding day, and how she managed to remain a “Bridechilla” through it all. 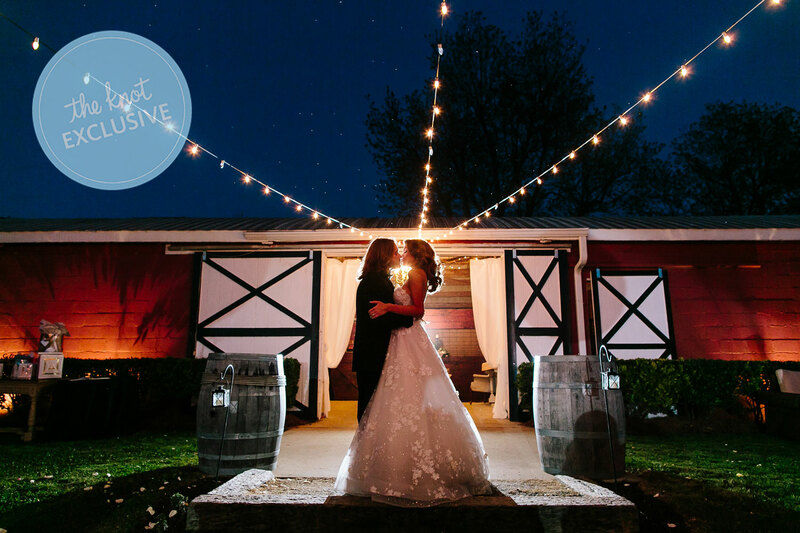 After their traditional Greek Orthodox ceremony at Cantrell’s childhood church (“We stand a lot in the Greek church!” she says), the newlyweds moved the celebrations over to the nearby Morgan View Farm, where their 350 guests were treated to an elegant, rustic space and fresh Georgian air. 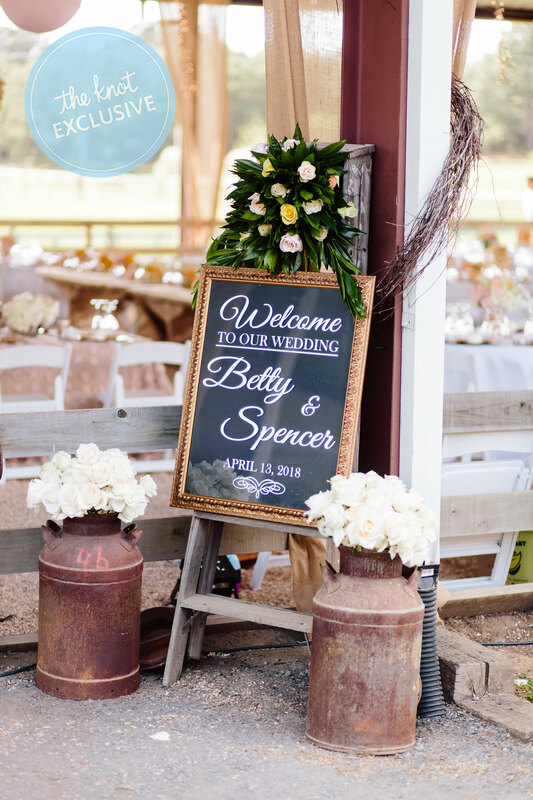 The cocktail hour was held by the horse barn, where decorations included enlarged photos from the couple’s engagement session framed in vintage gold frames. Each was displayed on an individual stall door. 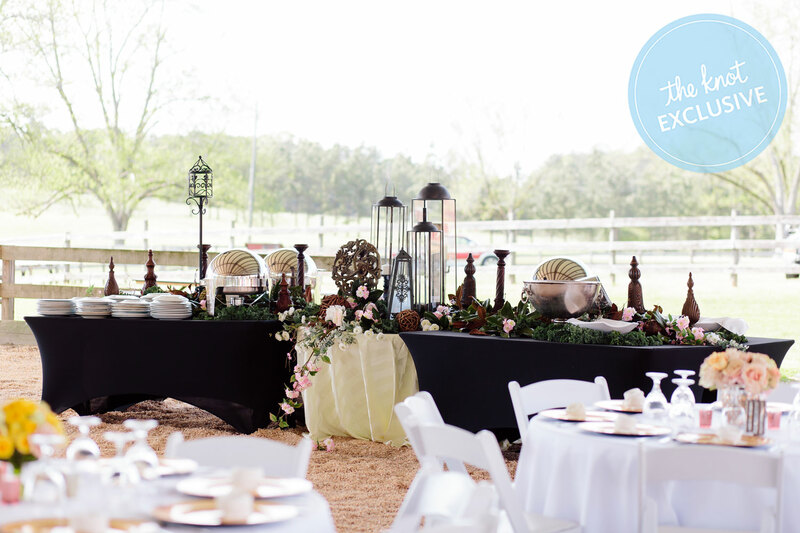 The party then shifted to the large horse arena for dinner and dancing. 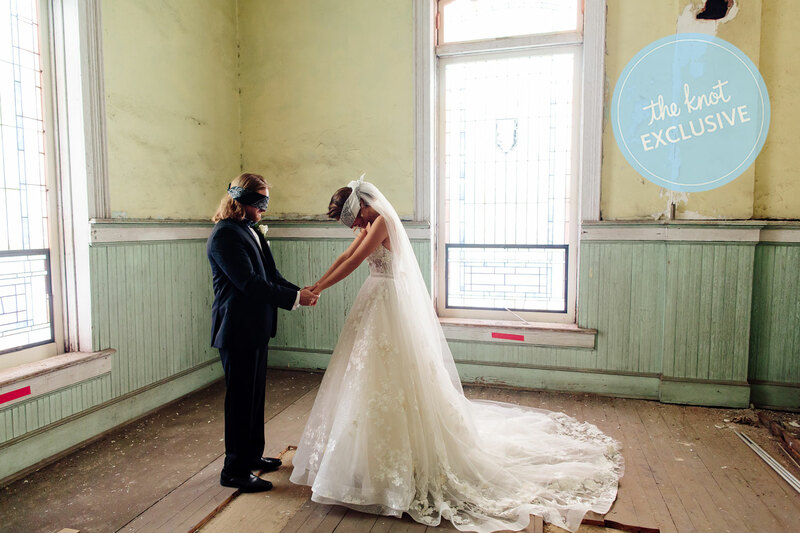 The feel that Cantrell and Maxwell were going for on their wedding day was “Southern, classy, and elegant,” according to the bride. 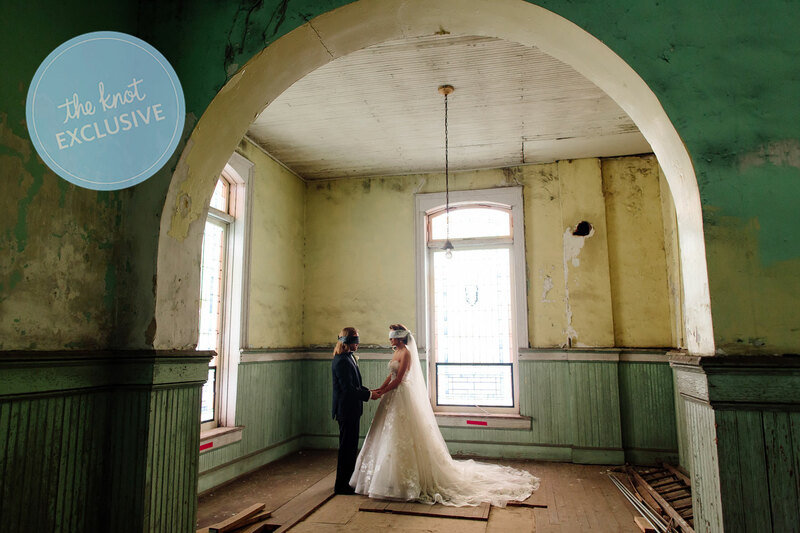 As such, the couple opted for a cohesive vintage vibe that began long before the actual wedding day. 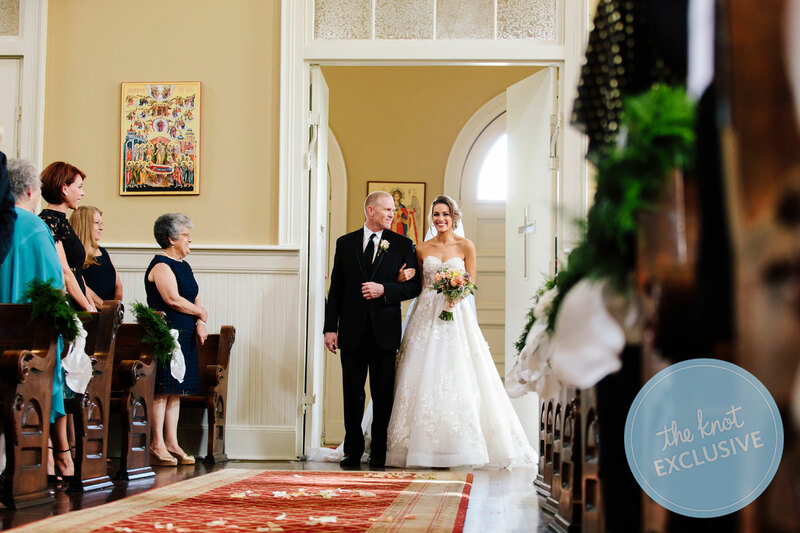 The church for the ceremony was already “fairly ornate,” so the couple primarily let the simple beauty of the space really shine, with the small addition of a dramatic rose arch as the centerpiece for the altar, courtesy of florist Mary Pinson. 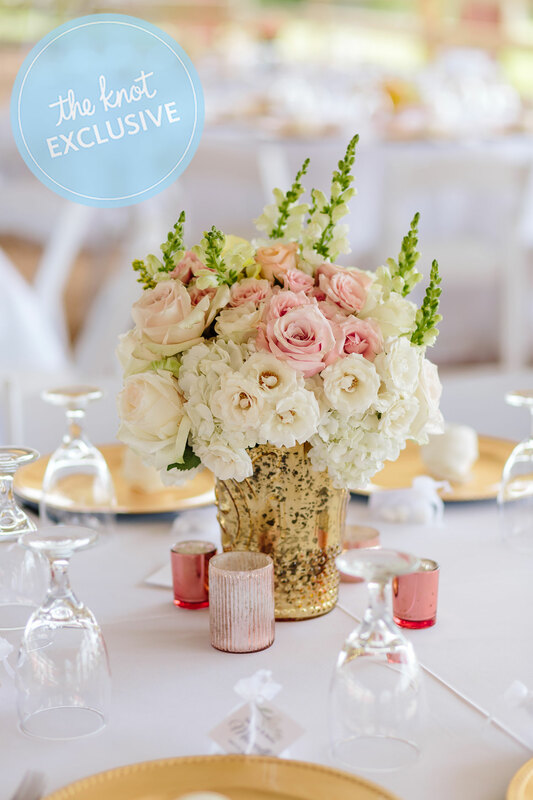 At the reception, however, Cantrell says she and her wedding planner played up the “rustic, elegant” vibe they were going for with guests’ tables dressed in crisp white linens with white roses and candles, set against colorful mix-and-match china courtesy of the caterer. 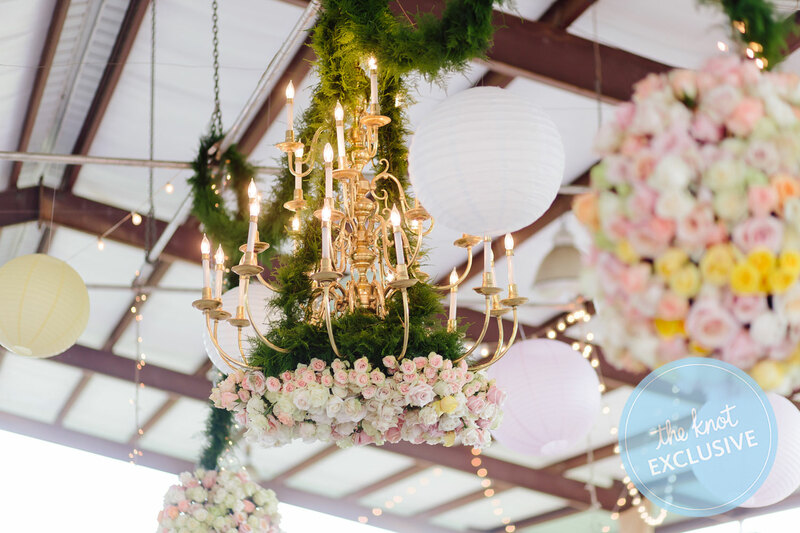 Brass chandeliers, paper lanterns and lights hung from the arena ceiling. 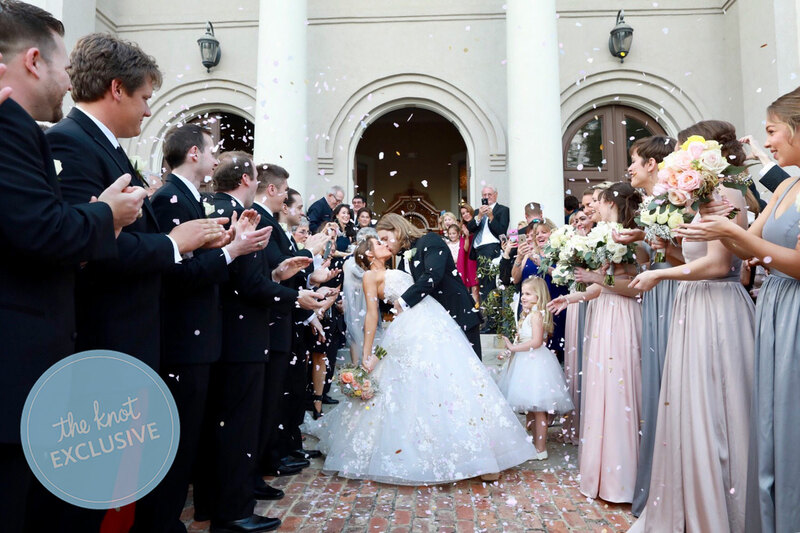 “I had the incredible opportunity to be on Say Yes to the Dress, Atlanta, when picking out my wedding dress,” Cantrell explains. 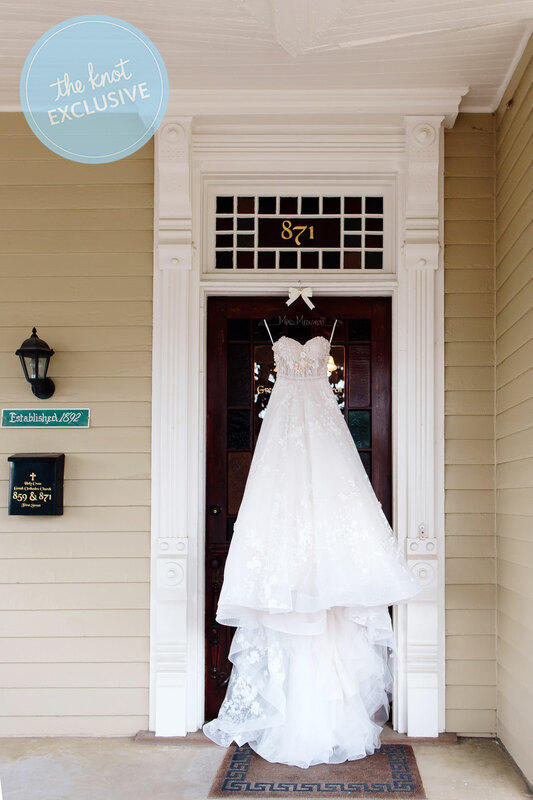 “I honestly didn’t have a vision for what I wanted.” The bride didn’t have much of a grasp on what she wanted initially, but one point was certain: All I knew was that I absolutely did not want this dress to look like a pageant dress,” she muses. As a former pageant queen, Cantrell is no stranger to bouquets. 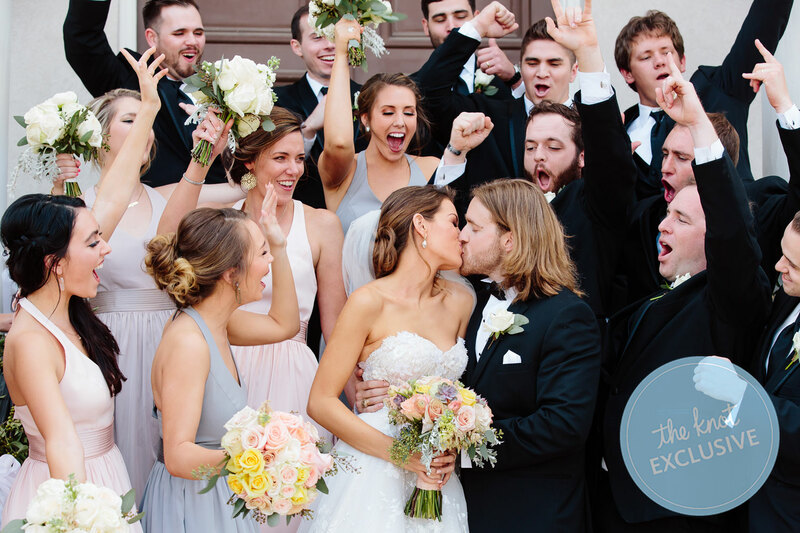 For her wedding bouquet, however, she wanted to be intentional about showcasing her own against her bridesmaids, and Maxwell’s boutonniere against his groomsmen’s. 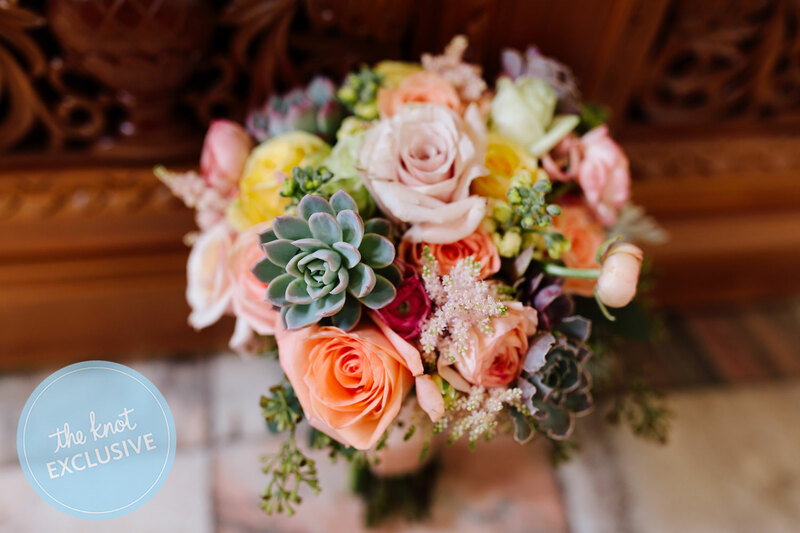 As such, her bridal bouquet by Mary Pinson consisted of grey succulents with flowers in blush, ivory, and hints of yellow; her bridesmaids’ arrangements were slightly more simple with white flowers and greenery to contrast against their colorful gowns. 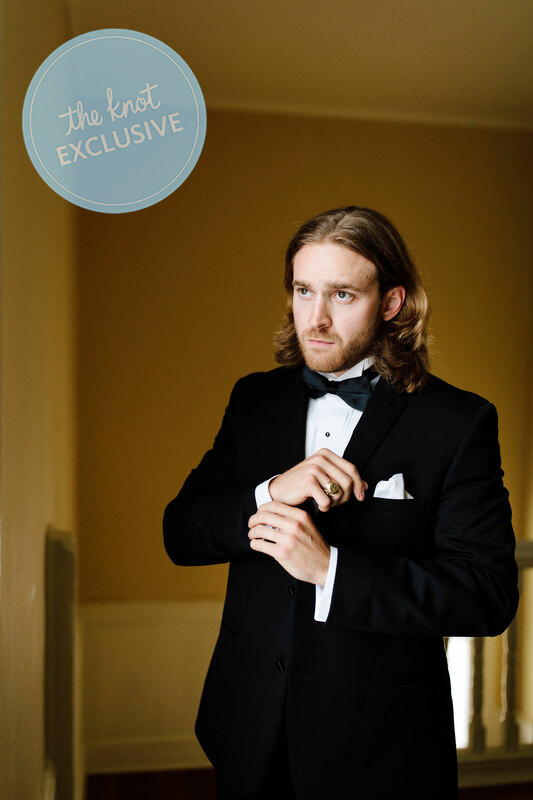 Maxwell’s boutonniere similarly displayed colors while his groomsmen’s were white and green. PassionRoses, the official floral sponsor behind the Miss America competition, graciously donated all the roses for the nuptials. Maxwell even secretly learned a special Greek dance called the “zeibekiko,” which he and Cantrell performed during the reception. 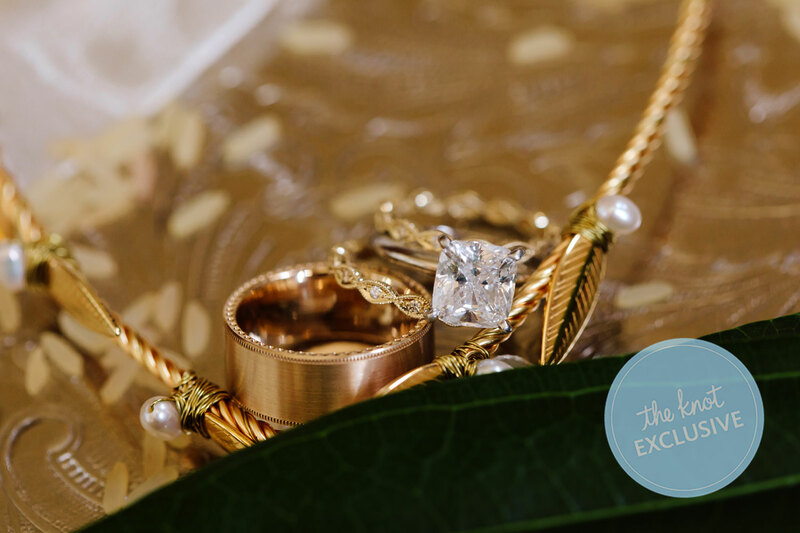 Their wedding favors–“koufeta,” or five white candy coated almonds in a white organza bag–were also a nod to the bride’s traditional Greek Orthodox roots. 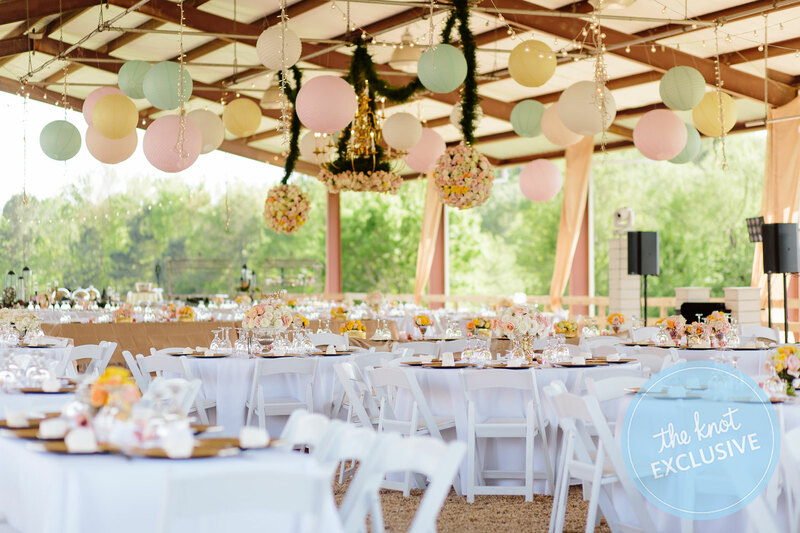 The almonds are considered good luck for the bride and groom, and symbolize the dual bitterness and sweetness inherent to a good life and a good marriage. Neither Cantrell nor Maxwell are big into cakes, so they tried to fuse what favorite bits they have into an ideal cake. The result was a mash-up of a layered pound cake with real cheesecake whipped to be both filling and icing for the towering piece of art. The semi-naked cake by Anderson’s Bakery was decorated with fresh flowers and a simple gold script “Mr. & Mrs. Maxwell” cake topper. 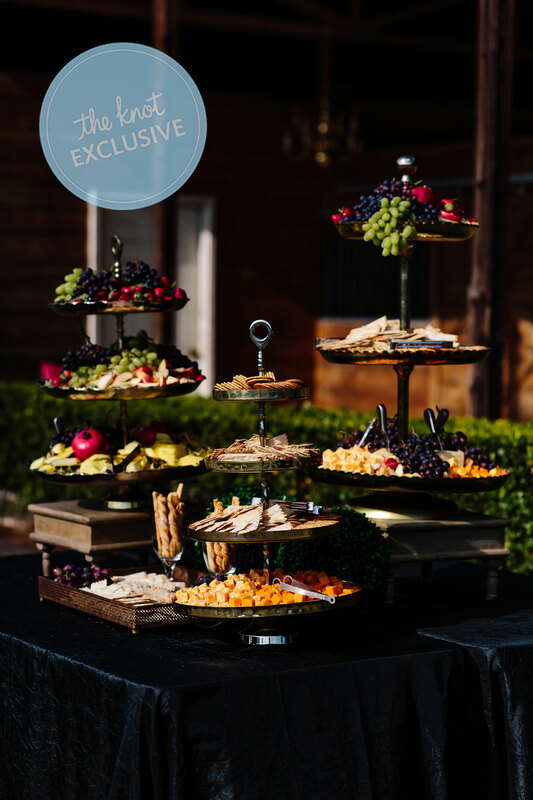 Food was definitely a big part of the couple’s wedding day (“It wouldn’t be a Big Fat Greek Wedding without a cocktail hour and food!” Cantrell says), and the newlyweds made sure their guests were well fed throughout the night. The dinner, also prepared by the team at Anderson’s Bakery, Catering & BBQ, included Greek lemon herb chicken, Greek roasted potatoes, and assorted breads, in addition to an impressive prime rib carving station. 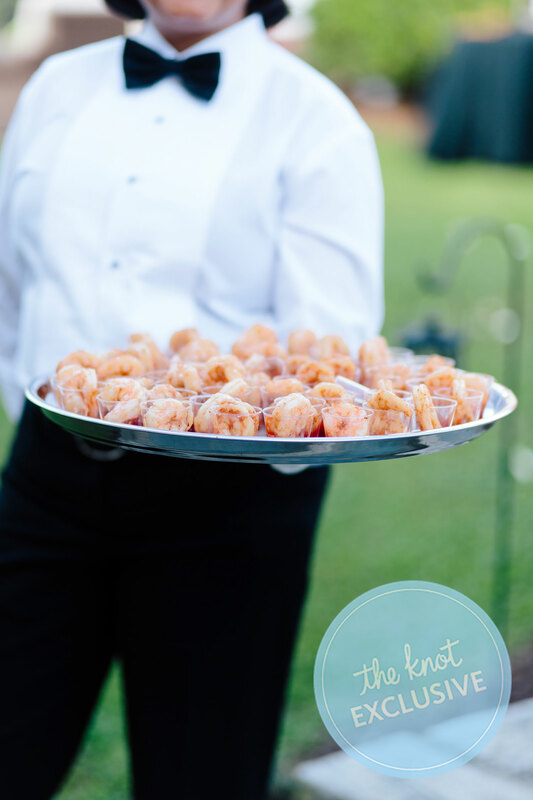 The caterers also offered up a wide array of sweets in addition to a #MaxwellHouse coffee bar; for late-night munchies, the couple satiated guests with an offering of Chick-fil-A nuggets. 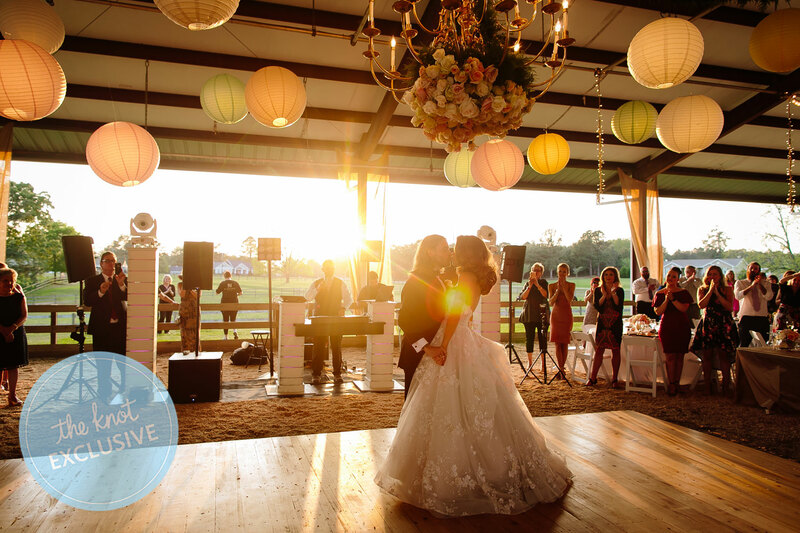 The couple danced to Cantrell’s own original song for their first dance, a ballad titled “Sway,” which held special meaning for both the bride and groom. 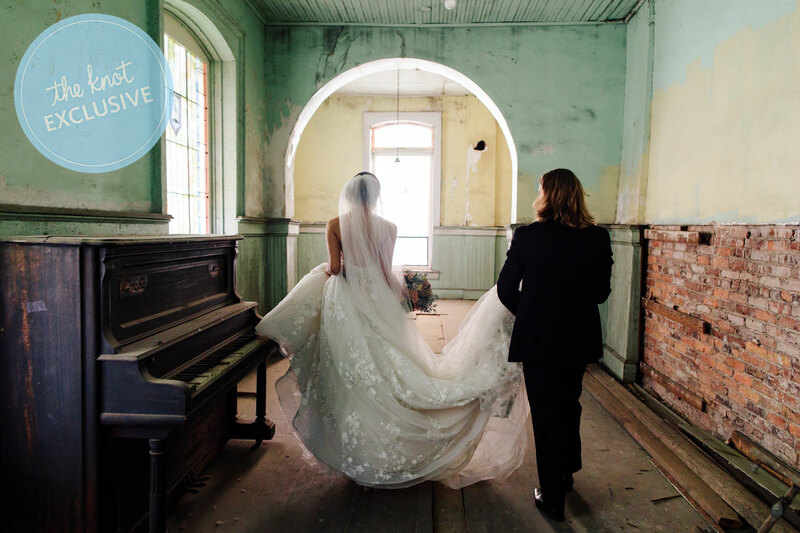 “I am a singer/songwriter, and our first dance song is one that I wrote about my love for Spencer,” she says, adding, that she did not, in fact, sing at the wedding. 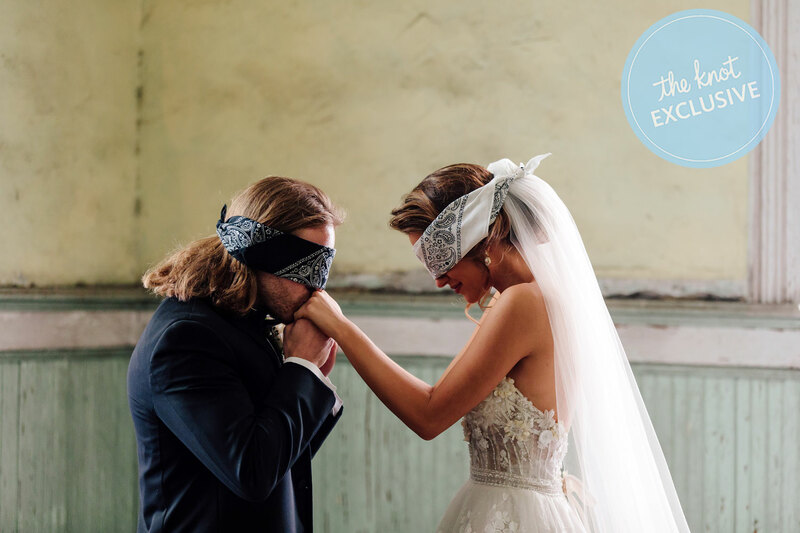 Looking to secure your ideal wedding vision? Start with The Knot’s Style Quiz here. 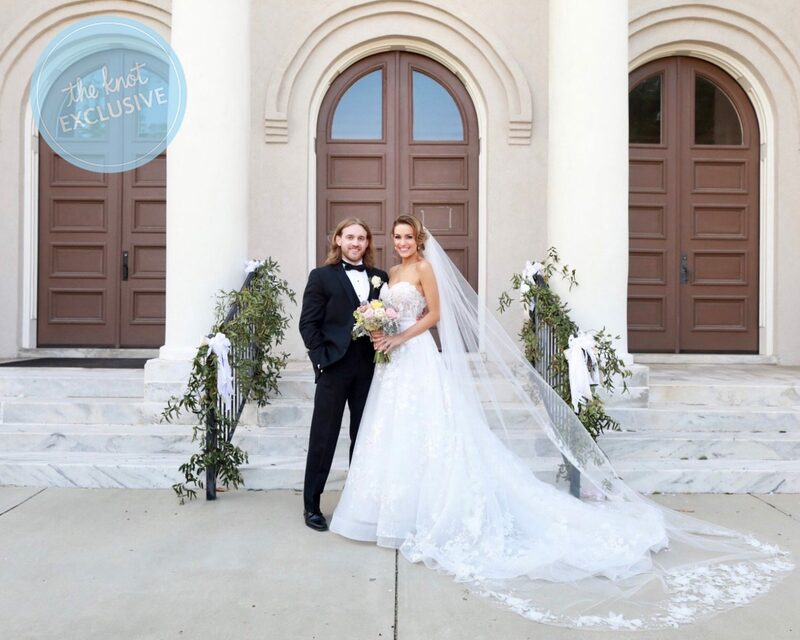 Be the first to comment on "Exclusive: Miss America Betty Cantrell Marries in Traditional Greek Orthodox Wedding—With a Rustic Barn Twist"